Plus No Fees. No Commissions. Put More Cash In Your Pocket. We’re Direct Buyers, And We Buy Houses With Cash Anywhere In Matthews, And At Any Price. We’re Ready To Give You A Fair Offer For Your House. Beware of any other people who claim to “buy your house fast for cash.” Many are middle man who look to direct buyers like me. When you deal with a direct buyer like our company, you’ll have no delays. We can get the deal close within 5 business days or whatever time frame works best for you. First, contact us at 704-200-2298 or fill out the fast response form today to get the process started, we play no games, there’s no gimmicks. Just a simple solution to end your stress. We have already helped other homeowners who needed a quick way out of their house, we can do the same for you! Basically, if you have a property and need to sell it, we can help! We are the people who buy houses. Can’t sell your house in Matthews? We can help! We buy houses as is, contact us now! Why should you work with us? Time! We’ll know very quickly if we can help you, and unlike selling through an agent, you don’t have to wait to see if the buyer can get financing… we’re ready to buy right now! All that hassle can add stress, months to the process, and in the end after paying the agent’s expensive fees, you may or may not be ahead of the game. We help property owners just like you, in all kinds of situations. From divorce, foreclosure, death of a family member, burdensome rental property, and all kinds of other situations. We buy houses in North Carolina… including Matthews and surrounding areas and pay a fair cash price, fast. Sometimes, those who own property simply have lives that are too busy to take the time to do all of things that typically need to be done to prepare a house to sell on the market… if that describes you, just let us know about the property you’d like to be rid of and sell your house fast for cash. Would An Investor Buy My House In Matthews For Close To Asking Price? 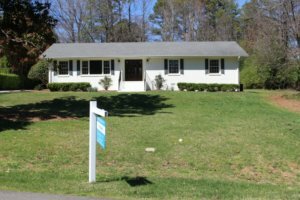 Can Appraisals Affect The Selling Price On A House In Matthews? How Important Is The Asking Price When Selling A House In Matthews North Carolina?